This month, the theme was lemon/lime. And you know the old Brazilian saying: if life hands you limes, make some caipirinhas! Caipirinha is THE Brazil’s official drink, and for those of you who never tasted it, it’s a delicious and refreshing beverage with cachaça, lime juice, lots of ice and sugar. It’s so sweet and cold you will only notice the drunkness when it’s no turning point. Trust me – I know what I’m talking about. If you want a taste of the drink, without the hangover, try my husband’s recipe for caipirinha truffles. The cachaça is very mild, with the freshness from the lime juice making these perfect for summer days. They are best served cold. Place the white chocolate in a bowl. In a small saucepan, bring the cream and glucose just to a boil. Remove from the heat and pour the hot cream mixture over the white chocolate. Whisk until smooth. Let rest for 10 minutes. Add the lime juice and the cachaça ans mix well to incorporate completely. Add the butter and whisk to combine. Cover with plastic wrap and live in the refrigerator for 48h. When it’s ready to roll, mix in a bowl the sugar and lime zest. Rub with your fingertips until the sugar is moist and fragrant. Roll 1 teaspoon portions of the chocolate mixture into balls and roll in the lime sugar. Place in small paper cases and keep in the refrigerator or freezer. Serve cold. Dorothy, you can use rum or vodca as well. How can this tinydelicious thing can exist ?????? I love the photos~ what wonderful presentations! These truffles sound delish. And the truffles….yum-o! I love those little flecks from the lime zest! Those cute flip-flops makes those truffles look like beach balls! Love caipirinha, another delicious way to enjoy it and with chocolate is perfect for me. boy oh boy, am I glad I found your blog! Everything you bake is right up my alley. You seem like a very talented baker! Thanks, Christa, I love mini food, just like you! I’ve never heard of cachaca, but the truffles look delicious. And those little flip flops are awesome. oh these are so pretty and adorable. i’d love to have a couple. also, those tiny yellow flip flops are well cute! 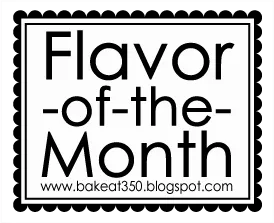 You were featured on CakeSpy! Yay! Sucrose? Not familiar with that as an ingredient. Is light corn syrup a good substitute for it? I’m also not familiar with the liquor, but I expect a citrus rum would be good. You can substitute light corn syrup and rum or vodca will work as well! Interesting truffles!! Love the idea. Those look YUMMY! Wonder if I can get cachaca locally? Jennie, I think you might find it at latin or brazilian grocery stores. Love how these look! I love the little flip flops in the photo, very creative. Those white chocolate truffles look so good! Please, tell me how they turned out, ok? I’m curious to know what your Brazilian peeps thought of the truffles! OMG-I want one-one box! They are beautiful! why on earth havent i tried this yet? it looks awesome! wonderful recipe, same as the resto of the blog, amazing photos! Holy cow these look good!! My husband and I love Caipirinhas!! We’ll definitely have to try these out.